Immediate Theatre Project’s annual production of Live From WVL Radio: It’s A Wonderful Life is back for one night only at the Isis Restaurant and Music Hall in West Asheville. This special performance is November 25th at 8:00. “The Isis has been our home for this show for three years now, and the timing just worked out perfectly for this special Thanksgiving performance,” explains local actor and producer Willie Repoley, who adapted the classic screenplay and directs the performance this year. “I don't like to start the Christmas season too early, generally. But the heart of the show is so incredibly generous that performing the evening before our national day of Thanks seems, actually, pretty great.” The company will continue a wide-ranging tour of the show at various East Coast and Mid West venues, through December 22nd. 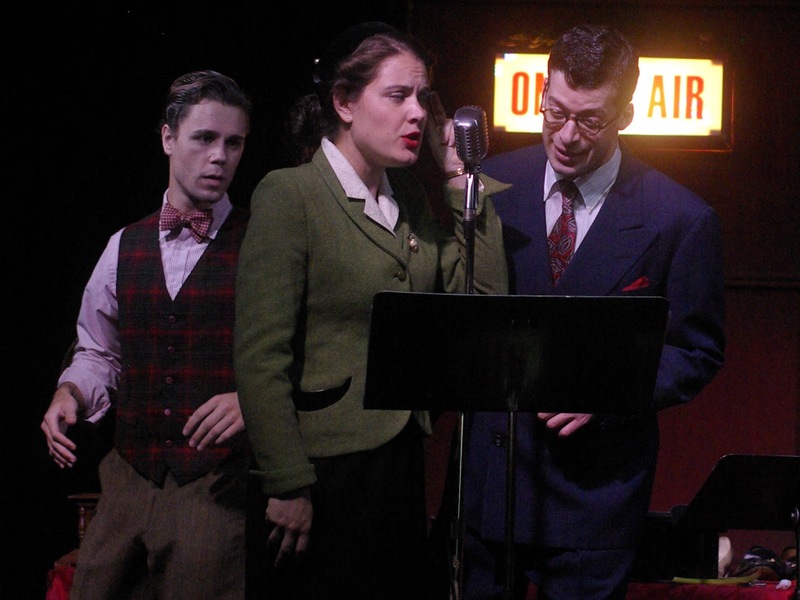 The performance features old-time radio sound effects, organ accompaniment, and versatile voice acting. The sound effects are created live on stage by the actors, and the music was composed and recorded by local musician Nathan Shirley. Tickets will be $15 in advance or $20 at the door. Seating is general admission, and there are a limited number of tables available with dinner reservations. There is also theater-style & balcony seating (stools), and standing available on a first come first serve basis. Doors will open at 5pm and the performance begins at 8:00pm on November 25th only. Reservations can be made by calling 828-575-2737. Tickets can be purchased online through www.isisasheville.com. For more information, visit www.immediatetheatre.org or call the Isis at 828-575-2737. ACT's Youth Class presents "Bye Bye Birdie, Jr."